He had received his first essential appointment. The ships passed the Canary Islands on July 15, but then became separated in a fog. They were able to regroup on July 26 at the Cape Verde island of Santiago. He wanted to make sure he avoided the Gulf of Guinea, where Bartolomeu Dias had had problems pertaining to weather and currents. For this, da Gama sailed his ships far into the Atlantic Ocean, and gradually coming within six hundred miles of South America. When his ships finally reached on November 7th, it was recorded that they had spent around 96 days on the open sea, which roughly meant they sailed for around 4,500 miles. The fleet spent the next eight days at St. Helena Bay before continuing on to the Cape of Good Hope, which they sailed around on November 22. 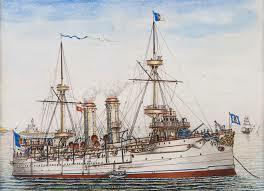 Putting into Mossel Bay, da Gama’s crews broke up their supply ship and distributed the supplies to the other ships. They set off again on December 8. Making their way up the eastern coast of Africa the expedition anchored in the Kilimane River estuary, where they spent 32 days repairing their ships and nursing members of the crew who had come down with scurvy. Da Gama proved victorious by crossing the Indian Ocean and anchored off the city of Calicut, India, on May 20. He spent the next several months trying to work out a trade treaty with the local rajah, but because of the intervention of the local Muslim merchants, he was unable to reach an agreement and headed home at the end of August 1498. Da Gama’s second voyage to India was in 1502 and was made up of 20 ships. During this voyage, he bombarded the city of Calicut. He was able to sign treaties with the rajahs in the cities of Cochin and Cannanore. With his remaining 13 ships full of goods he set sail for Portugal on December 28, 1502. 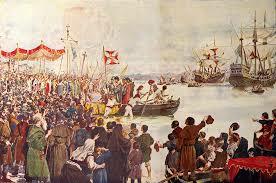 He reached Lisbon on September 1, 1503. King Manuel, I rewarded him with the titles of Admiral of the Indian Seas and count of Vidigueira. 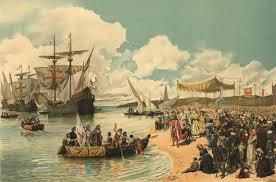 In the year 1503, da Gama had returned home. 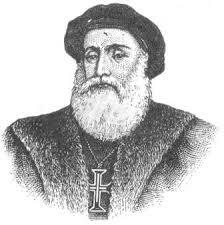 When he was on his final expedition to India, Vasco da Gama had gotten critically ill and died on December 24th, 1524. Vasco da Gama’s remains were taken back to Portugal, where he was buried in the chapel where he had prayed before his first voyage.